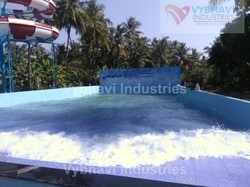 As a customer-focused organization of the industry, we are offering the conventional type of Wave Pool equipment and mechanism to our valuable customers. The wave is created by Blowers and controlled using pneumatic cylinders and microprocessor controllers. Different types of waves can be created using this technique.